PARIS: Neolithic communities clustered near present-day Barcelona some 6,000 years ago were really keen on dogs, in this life and the next, reports AFP. Archeological evidence from at least four sites showed prehistoric humans and their four-legged friends living in close quarters, working together, and sharing a common diet of mostly grains and veggies. “These animals were fully integrated into the Neolithic communities,” lead author Silvia Albizuri, a researcher at the University of Barcelona, told AFP. 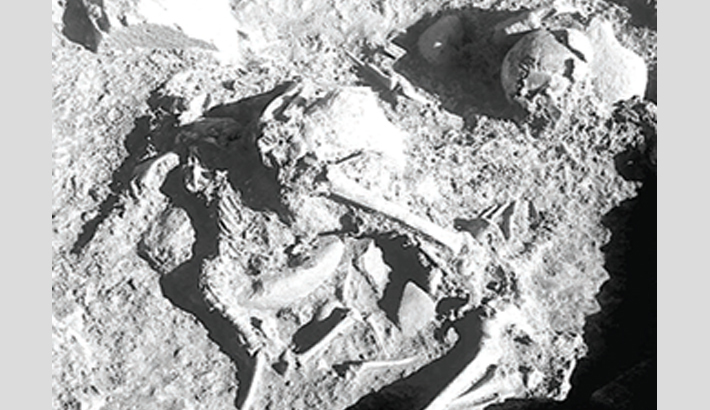 And the special status accorded to canines even extended to the grave, Albizuri and her team reported recently in the Journal of Archaeological Science: Reports. In more than two dozen circular burial plots, the partial or complete remains of pooches were carefully laid out next to individual men, women and children. But the dogs chosen to spend eternity with their masters paid a stiff price for the privilege: they were sacrificed at the time of burial, the study concluded. The animals ranged in age between one and six years, with a quarter estimated at 12 and 18 months-old. “The selection of puppies and one-year old animals suggests the intention to sacrifice,” said Albizuri. The Pit Grave people, in other words, loved their dogs to death. The preference for young dogs may also have stemmed from a reluctance to lose older ones already trained up in their guarding or herding duties. A lack of cut-marks on the dog bones also suggests their flesh was not cut away and consumed before burial.